The 2019 Cricket World Cup is now less than 100 days away. Throughout the last year, team dynamics have changed, players have retired, and young players have emerged as crucial weapons to their team's title hopes. These factors don't always match up with the current rankings in ODI cricket, and as a result, this in-depth look at each squad will provide valuable insight. In this article, teams are ranked in terms of who are favourites to win cricket's most prestigious event. The key players for each team are also analysed and predictions are made on how they will have an impact on the 2019 Cricket World Cup. 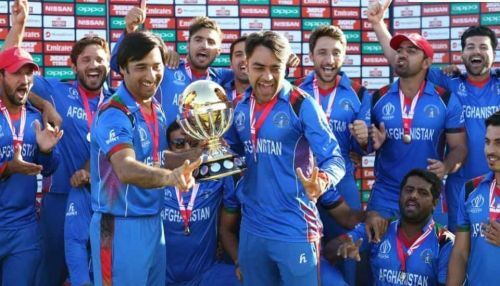 Two key players that Afghanistan need to perform in order for them to have a shot at the World Cup are Rashid Khan and Mohammad Shahzad. Both of these players are match winners in their own right. Khan has shown, particularly in the T20 format of the game, just how economical he can be with the ball and how that run rate pressure can turn quickly into wickets for him. Shahzad is an exciting player to watch and he should prove his worth at bowling attacks, particularly in the powerplay. If he can deliver, it will lay a good platform for the World Cup's newest country, and could lead them to some big upsets. Keys to success: Apply pressure and use their underdog tag to their advantage. Applying pressure and using their underdog status will be key to Afghanistan's success at this World Cup. With a bowling attack consisting of two experienced spinners, this is not out of the realms of possibility. Mohammad Nabi and Khan are both masters of their craft in run restriction in T20 cricket, and there is no reason why they cannot transfer this to 50-over cricket. Helping the Afghanistan cause is the fact both these bowlers bowl better when batsman try to attack them. This will be a high scoring World Cup, meaning teams won't be able to see off these players in 20 overs for only 60 runs and still score a good enough total. Teams will be expecting to beat them, but if they can play some solid cricket and apply scoreboard pressure, teams may be quick to crumble against this exciting team.